BOP ON TREND: A Lesson in Shopping. 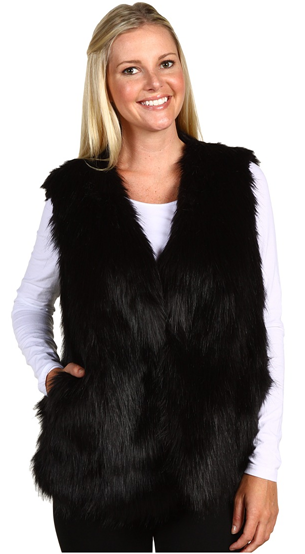 On a crisp Saturday afternoon shopping in Westport, my good friend Jill fell in love with a Theory fur vest. Although it was beautiful, it was also $875. While fur might never be considered "out of style," fur vests might at some point be, in which case it's tough to validate spending close to a grand for something that you might not get a whole lot of use out of. This little scenario made me determined to find a vest that would not only sufficiently fulfill J's need for a fur vest but would keep her bank account a tad happier during this season of holiday spending. 1. One thing I always like to do is research the product before making an impulsive expensive purchase. Would you look at that! ?﻿ Just a little bit of research and you have saved yourself $277. I'm not trying to preach about saving money, but who wouldn't want to save that much on the exact same thing? 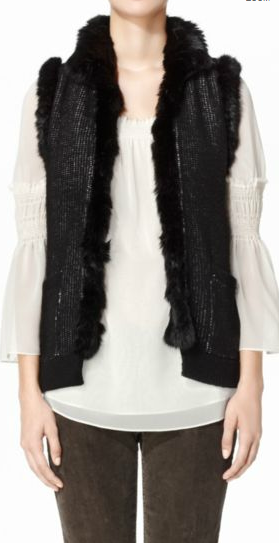 DKNY's black faux fur vest is 7 times less expensive and very cute, need I say more? ($120) A similar one was featured here. Heritage by Forever21 allows you to get the look for under $40, I don't know how they do it. This one comes with a belt- but relax, it's removable! So what we have learned here today is to do your research people! Put a little extra time in and you'll save big. If you have a smartphone you can do your research while your still at the store! Outsmart those betches, betch.